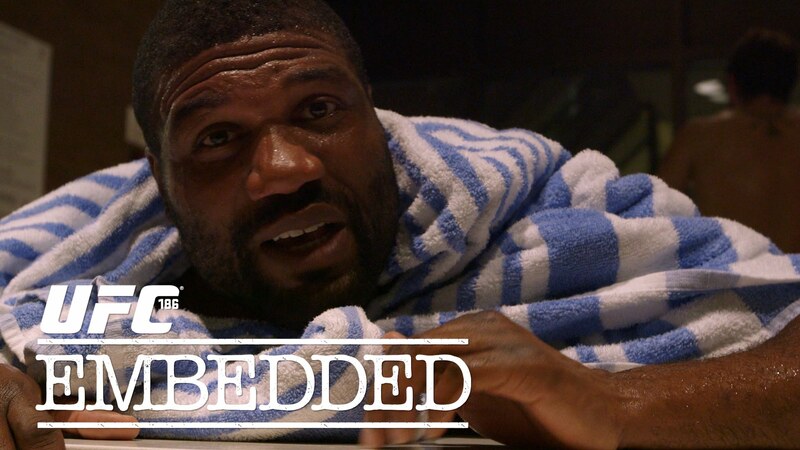 On Episode 3 of UFC 186 Embedded, the mood in Montreal stays relaxed in the final days of fight week. Middleweight Michael Bisping test-drives his gloves, flyweight champion Demetrious Johnson expounds on video games and former light heavyweight champion Rampage Jackson faces technical difficulties during a video chat. As Thursday winds down, the weight-cutting begins, and Friday culminates in a final series of staredowns at the official weigh-in. UFC Embedded is an all-access, behind-the-scenes video blog leading up to the flyweight championship at UFC 186: Johnson vs. Horiguchi, taking place Saturday, April 25th.